WANT TO SUPPORT CENTRAL ISD? Central ISD is seeking funding to host a month-long promotion during National Apple Month 2017 to increase fruit consumption among students, as well as show the nutritional value of apples and the ways they can be used in cooking. The festivities will end with a creative and healthy recipe contest featuring delicious apple varieties! We would like to involve our kids in educational activities throughout the month of October for National Apple Month. 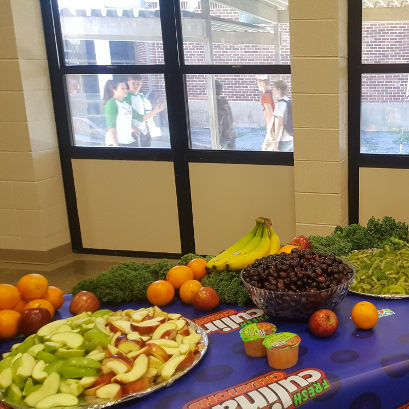 The promotions will be aimed to increase fruit consumption among students as well as show the nutritional value of apples and the different ways they can be used in cooking. We would like to give away prizes for students who come up with the most creative, healthy and delicious apple recipe! Fruits are such an essential part of every students’ daily nutrients and they are great brain food! Educating students on the benefits of fruits including apples and showing them how delicious they are will increase fruit consumption. The goal is to get students to pick a fruit over chips for a healthy snack and to influence their parents/guardians to buy apples or any other fruit at the grocery store. Funding would help purchase prizes to give away to students who enter the recipe contest. The prizes will be geared towards healthy cooking or staying active. I’d like to use the funding to better the lives of our students and help make Central ISD healthy.